The State Patrol spent last week emphasizing HOV rules, with a team of troopers dispatched to enforce them across King, northern Pierce and South Snohomish counties. Scoundrels are all over Seattle-area highways, cheating on HOV lanes and clogging things up for legitimate carpoolers. The Washington State Patrol pulled over more than 1,700 motorists last week, and issued nearly as many tickets, for driving in carpool lanes without the minimum number of passengers. The Patrol spent last week emphasizing HOV rules, with a team of troopers dispatched to enforce them across King, northern Pierce and southern Snohomish counties. Over five days, an average of 17 motorcycle troopers stopped 1,756 drivers, handing out 1,671 tickets, at $136 a pop. That’s an average of nearly 20 tickets per trooper per day and more than $225,000 for state coffers if everyone pays the fine. There’s no high-tech system for catching violators. Troopers either park in the shoulder or median or drive alongside HOV lanes and look in car windows. Stories are legion of mischievous drivers using dummies in passenger seats, to try to fool troopers into thinking there’s more than one person in the car. 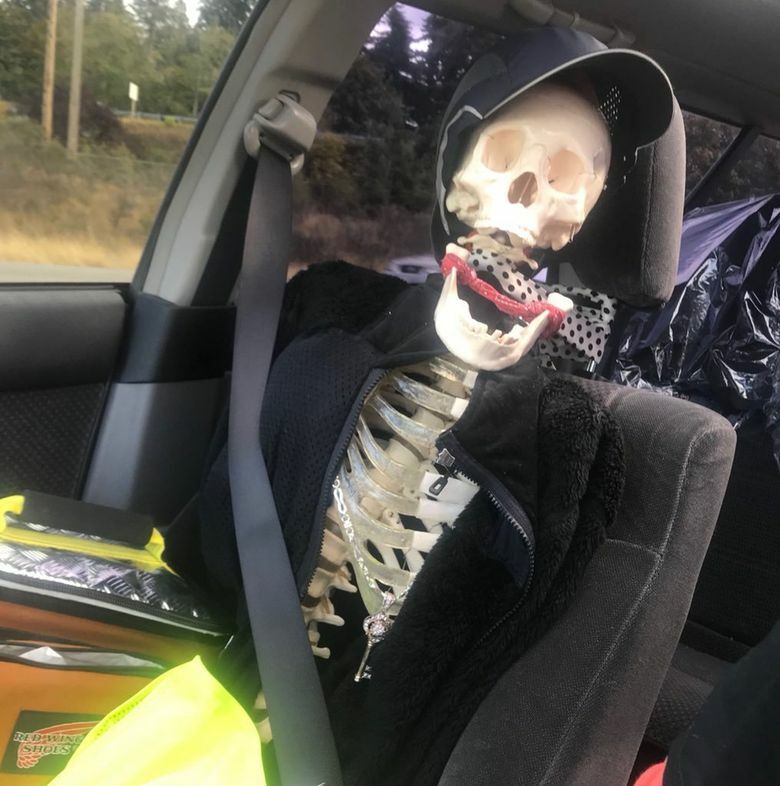 Past crackdowns have found such impostors as a department-store mannequin, the Dos Equis “Most Interesting Man in the World,” and a dummy so convincingly dolled-up in Seahawks gear that a trooper thought it was a dead body. Troopers found repeat offenders as well — 17 drivers got tickets on two separate occasions during the five-day crackdown, while one driver got three separate tickets. The State Patrol says it gets more complaints about HOV-lane violations than anything else. The HOV-lane system is designed to nudge people into carpools, by offering a quicker commute for those sharing a vehicle. Limited data appears to show that cheating, just like traffic, is on the rise. Troopers have pulled over more than 10,000 HOV cheaters in King County so far this year, with more than three months to go. They pulled over slightly more than 11,000 in both 2016 and 2017. There are HOV lanes (or express toll lanes), on sections of interstates 5, 405 and 90; highways 520 and 167, and the Tacoma Narrows Bridge. The Washington State Department of Transportation (WSDOT) claims average violation rates of between 1 and 7 percent, although those numbers are based on human observation. The national average of HOV violators is between 10 and 15 percent of lane users, WSDOT said. WSDOT credits its HERO program with keeping its reported violation rates below the national average. That program lets drivers report carpool cheaters (and their license-plate numbers) online or by calling a toll-free number, 877-764-HERO. But reporting someone doesn’t mean they get a ticket. First-time violators — who are reported through the hotline — get a brochure in the mail, followed by progressively sterner letters for subsequent violations.